The sum is greater than the parts - A successful logistics solution is never just one tool, but a combination of assets working together seamlessly. In order to provide fleets with the best all-round system, ALK Technologies works with several partners across the globe. 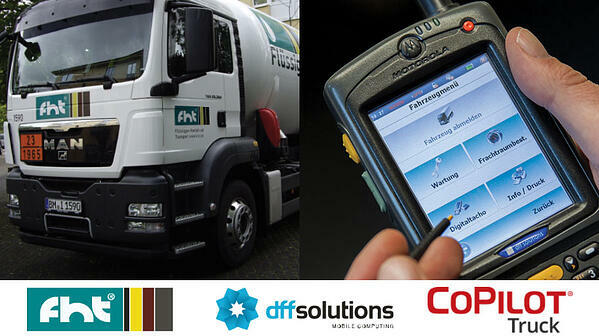 Thanks to our software integration capabilities, we deliver successful fleet implementations worldwide. Collaboration and integration are key in this process. One example that illustrates this, is ALK’s collaboration with our partner, dff solutions, to create a comprehensive logistics solution for fht in Germany. Providing safe and reliable LPG (=liquefied petroleum gas) logistics to the highest standard since 1989, fht’s (Flüssiggas Handel und Transport) fleet of more than 200 vehicles provides households, businesses and gas stations across Germany with DIN-compliant products.